SOUTH African opposition Economic Freedom Fighters (EFF) has distanced itself from reports of claims it had organised protests against Vice President Constantino Chiwenga's treatment in the neighbouring country. 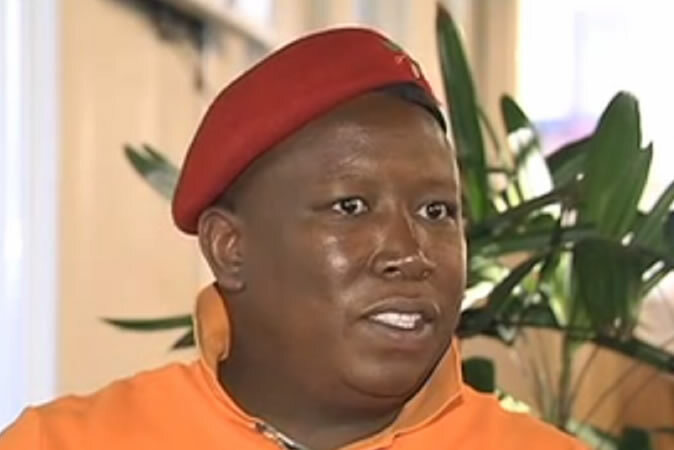 In a statement Monday, the Julius Malema-led EFF said it had no problem with African leaders being treated in that country even though they might have ideological differences with some. "The EFF notes with great concern some reports on social media to the effect that we have mounted an assault on a local hospital which is said to be treating a high-level official from our sister nation across the Limpopo, Zimbabwe," the party said. "There is also a video circulating on social media alleging that our gallant supporters are marching outside the aforementioned hospital and protesting the presence of our said brother in our country,"
Chiwenga was reportedly airlifted to South Africa after a health scare last week. Government has not commented officially on the claims. The EFF said a video purported to be of its supporters protesting against Chiwenga was being misrepresented. "Let us clearly and unequivocally state that the video is being misrepresented by those wishing you drive a wedge between us and our Zimbabwean brothers. "The said video is our manifesto launch at the giant stadium in Soshanguve on 2 February 2019 and we have not mobilised anyone nor will we mobilise anyone to March against anyone against treatment of our brothers in our country." The South African opposition party said any demonstration in this regard would be against its values. "We as EFF have a standing struggle against neo-colonialism and we will not stand for any racial injustice," the party explained. "Therefore, for us to March against the treatment of fellow Africans in our country is counter-productive to our fight. "We might not agree on everything with fellow African comrades, but we stand by them in the fight for racial equality."